Application forms (in the form of Excel spreadsheets) can be found either here on the VK5 Parks website or the VK5 Parks Yahoo group. Please use the appropriate spreadsheet. Please note that the spreadsheets will be the only form of application now accepted. Handwritten applications, emails, etc will no longer be accepted. 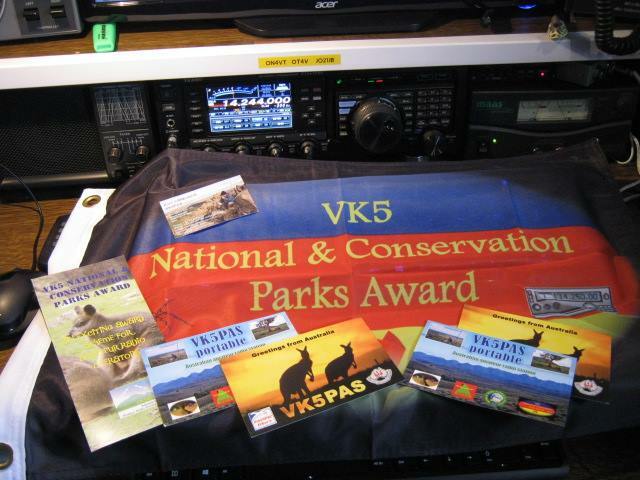 Once completed, the spreadsheet can be either emailed or posted to the Awards Manager, Paul VK5PAS. HOW ARE THE CERTIFICATES SENT TO YOU? 1. The certificates are available for FREE. They will be e-mailed to recipients as a PNG or a PDF file. You can print them out in your own home. The certificates are printed on HIGH quality gloss photo paper on a professional printer. AUD $5.00 or 2 valid International Reply Coupons (IRC’s). AUD $10.00 or 3 valid International Reply Coupons (IRC’s).